Cordon bleu is a delicious dish that originates in Switzerland. 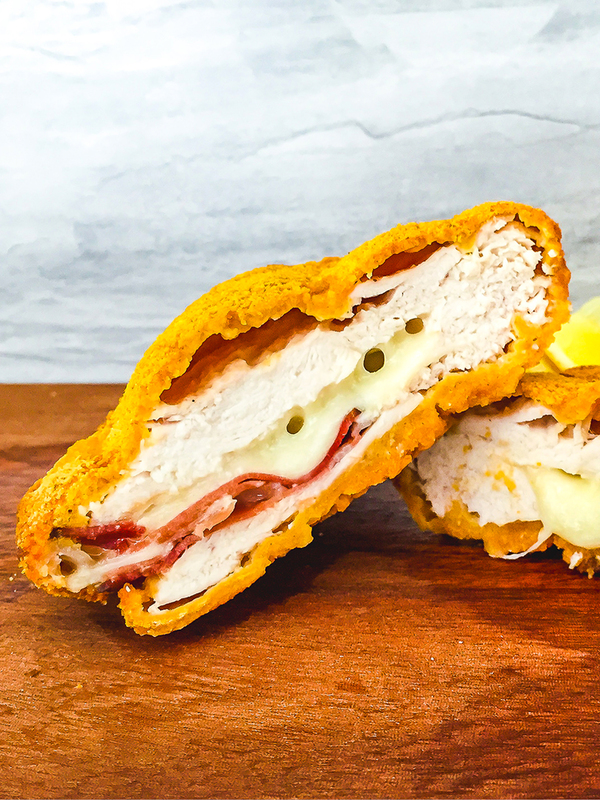 In the traditional recipe, chicken breast is stuffed with ham and cheese, breaded, and then pan-fried or deep-fried. 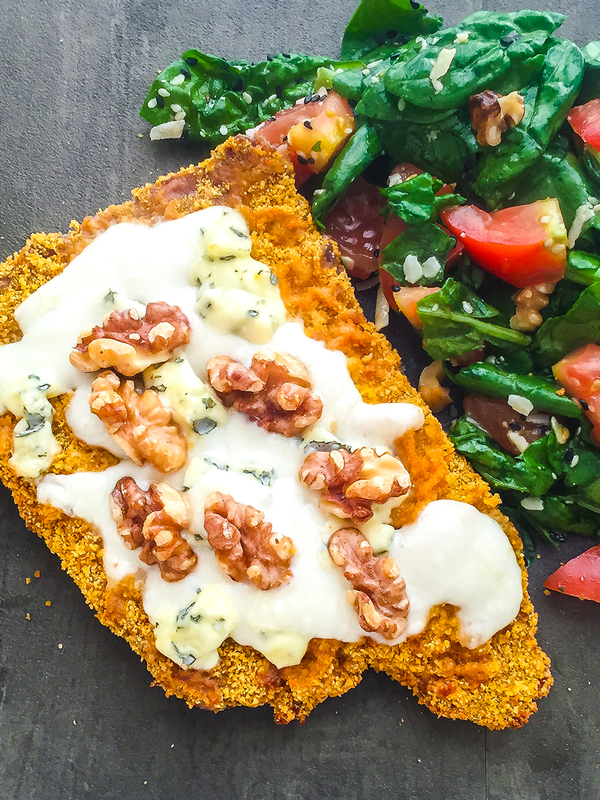 We want to propose this oven-baked healthy alternative where you can cook the breaded chicken in the oven and get the same nice and crispy finish. Smoked cheese and smoked ham give this dish a well-rounded flavor, but you can experiment with new or favorite fillings! 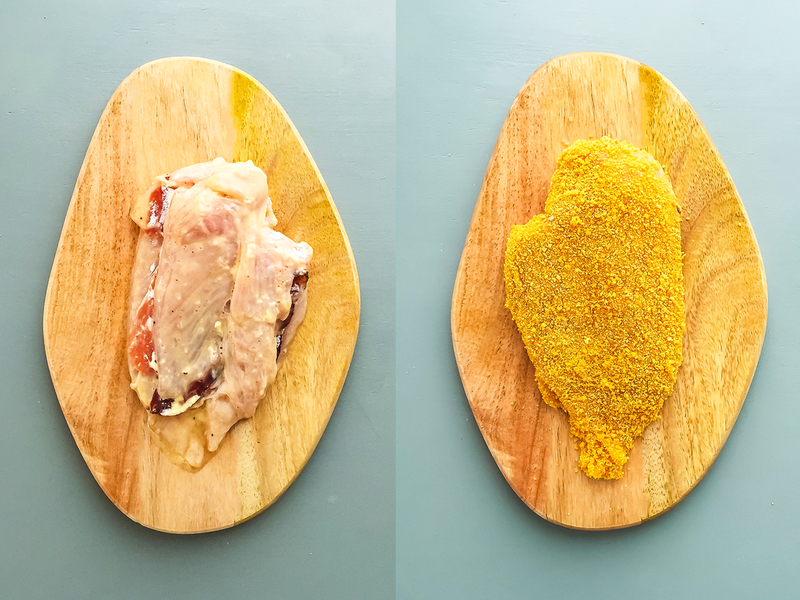 Preheat the oven to 225° C. On a chopping board, cut the chicken breast into two slices of the same thickness. 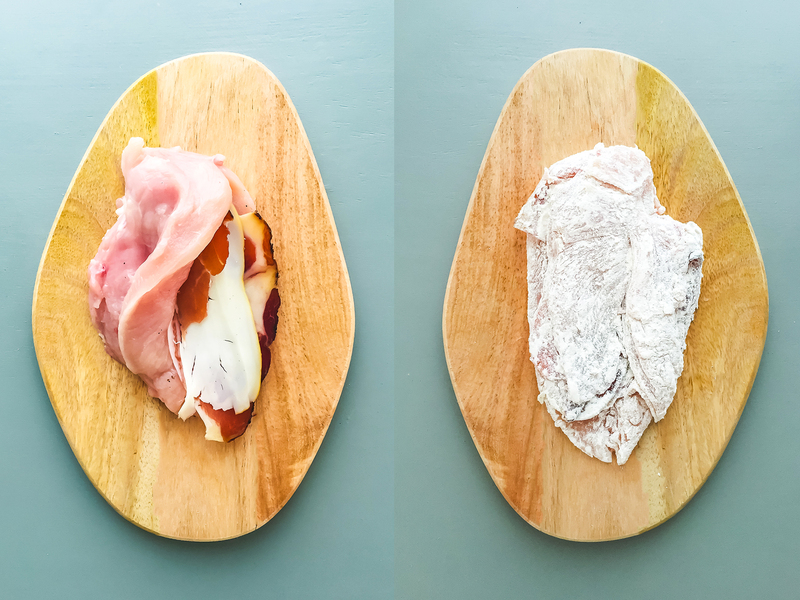 On one of them lay slices of ham and cheese and cover with the other chicken slice like a sandwich. Coat the chicken with flour on both sides. Next, roll the chicken in beaten eggs and immediately coat with breadcrumbs mixed with salt and pepper according to taste. Repeat the coating step with flour, eggs, and breadcrumbs a second time to make the chicken crispier. 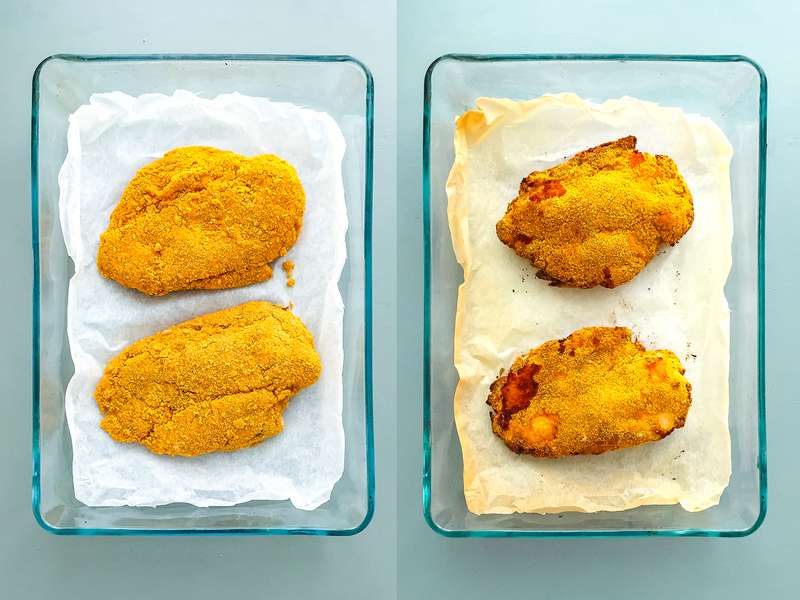 Transfer the breaded chicken in a baking tray lined with parchment paper. Cook in the oven for 25 minutes flipping the chicken halfway through baking. 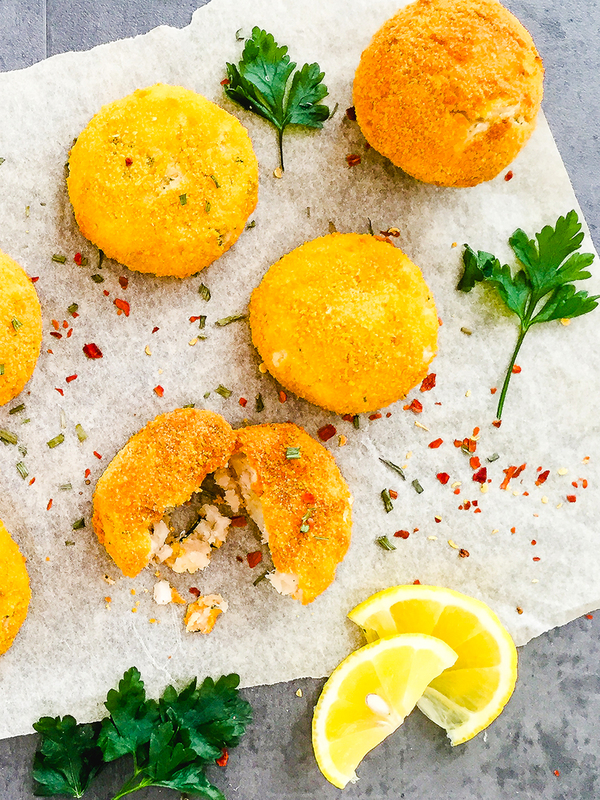 Serve with lemon wedges and a side salad.